Teresa's work in Nicaragua is done through the non-profit Global Solidarity Group. The non-profit was created to manage the funds raised for the community of El Limonal through books, DVDs and fundraisers created by the Gringos in the Garbage. A community formed at a dump​ In the wake of the 1998 Hurricane Mitch, thousands of people were temporarily located to live on the margins of the city of Chinandega, Nicaragua in what is locally known as the ‘circle of death,’ living between the dump, a cemetery and a sewerage plant. More than two decades have passed and the community of ‘El Limonal’ remains at the dump, and intends to stay. Charitable projects have been set up in an effort to help improve the health care and education of people living there, but when Warren FitzGerald and Jess Rothenburger (a writer and international development ‘nerd’ respectively) first volunteered here they realised in order to truly help the community they had to first find out what the people themselves thought they needed. So they went to live and work with the locals, scavenging for recyclables in the garbage, and it was just the start of a journey of connections, joy, tears and illness that would lead them to question the very meaning of wealth and poverty. Not only would they learn about surviving from a dump, but also about the endurance of the human spirit and the preserving of dignity. Gringos in the Garbage is the film they made about this experience, 25% of any profit from which goes directly to the community of El Limonal to help their own development. The money raised is managed by the non-profit Global Solidarity Group. ​In February of 2014 Teresa the Traveler went on a mission to Nicaragua with Operation Nicaragua. This organization led by Kamloops Fire Fighter David Sakaki accepts donations of retired fire trucks, ambulances and other emergency equipment and delivers it to Nicaragua to be used by the Bomberos, Nicaragua’s emergency responders. During this trip the group visited the community of El Limonal to cook and serve a lunch to over 100 kids. 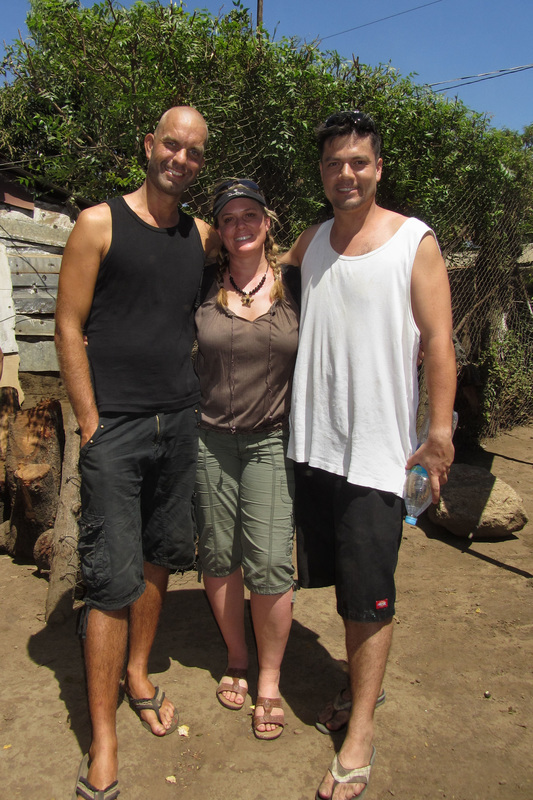 They coincidentally arrived at the same time Kamloops resident Jess Rothenburger and his friend Warren Fitzgerald (from London, England) were wrapping up the filming of their documentary “Gringos in the Garbage”. Warren gave Teresa a tour of the dump where they lived and worked and Teresa became inspired to do more to help this incredible community. She has joined the Board of Directors of a non profit called Global Solidarity started by the Gringos to divert funds from the movie and book to help empower this community. ​Teresa the Traveler has brought her passion for bling to the residents of El Limonal. She collects donations of jewellery to distribute and teaches jewellery making classes at El Limonal. CLICK HERE to learn more. 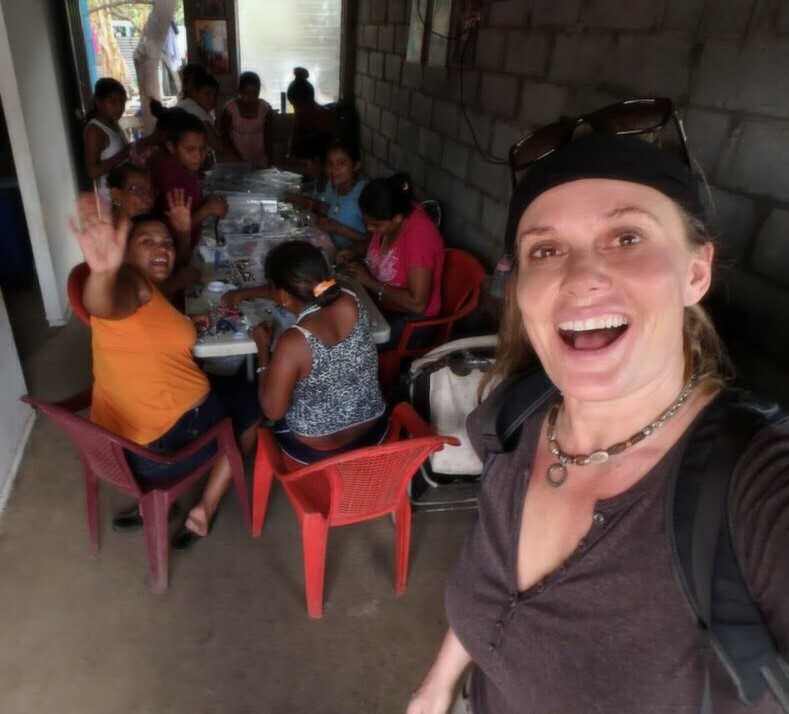 In March 2016, Global Solidarity Group members Jess Rothenburger, Darlene Hildebrandt and Teresa Cline spent one week with the community of El Limonal to complete the following tasks: Hand out food hampers, match house sponsors with families, do a community census, meet with the recipients of the micro-loan program and teach a jewelry making class. CLICK HERE to get an update of this trip. One of the ways the Gringos raise money to help the community of El Limonal and cover administration costs is through Gringo screening parties. Our first took place at the Blue Grotto in Kamloops in January 2016. We also had parties at Harper's Trail Winery, the IBEW Local 99 Hall and the Operation Nicaragua Warehouse. CLICK HERE to learn more.